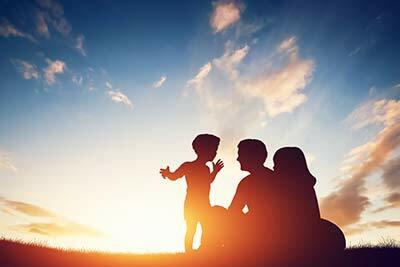 Family counseling (also called family therapy) is a professional relationship that is solely focused on the concerns and well-being of the family as a whole. Family counseling appointments may be with the entire family or with some family members. Counseling is used to enhance the relationships, family identity, communication skills, conflict resolution, and patterns and roles. A family may choose to pursue counseling services when they experience family problems, life difficulties, or transitions that are beyond their normal ability to cope. Counseling is used to create a therapeutic relationship between the family and their counselor. The therapeutic relationship offers space, safety, and trust to achieve growth. With this trusting relationship in place, each family member is encouraged to share their concerns and process through the problem or difficulty. The counselor collaborates with the family to create goals and a plan for counseling. The counselor assists the family in reaching their goals by facilitating communication, implementing collaborative problem solving, providing education and skills training, giving an outside perspective, empowering the family, and using several other therapy skills and strategies. The family practices these skills with their counselor and on their own. As the family experiments with the strategies and skills they have learned in counseling, the family gathers valuable feedback through successes, failures, and relapses. Feedback is used as a way to re-focus and align the family toward their goals. Finding the courage to experiment with new strategies can lead to growth, progress, and change. The length of counseling depends on the family’s concerns and goals. Counseling can be short-term (about 2-6 weeks) to address a specific problem or counseling can be long-term (about 2 months to 2+ years) to address larger and more complex issues. Counseling appointments are typically scheduled weekly, though more or less frequently scheduled appointments can be arranged depending on the severity and intensity of the problems. Eventually, as the family reaches and maintains progress toward their goals, and if the family is satisfied with their progress and no new goals are identified, then counseling is completed. Families may decide to meet with their counselor on an infrequent basis (in several months or years) to “check-in” about the problems addressed in session or new problems, life difficulties, or transitions. Families may also decide to pursue individual counseling to supplement the growth that they learned as a family.